Xiaomi wants to gain ground with the Mi 5s. A Snapdragon 821 processor, up to 6 GB of RAM and 256 GB of storage, a pressure sensitive display and Qualcomm's ultrasonic fingerprint technology indicate a major upgrade to the Mi 5 is in store. Next week, we are expecting the Xiaomi Mi Note 2 to be released in China, which might be named Mi Pro, according to recent rumors. 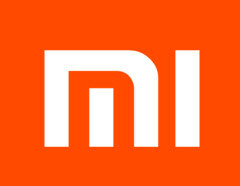 However, even for the 5,15 inch Mi 5, Xiaomi might have a successor in store for us. AndroidPure was able to get their hands on an alleged spec-list of the soon to be flagship phone by Xiaomi, the Mi 5s. Apparently Xiaomi will add nothing less than the Snapdragon 821 running at 2,4 Ghz, up to 6 GB of 1.866 Mhz LPDDR4 RAM and up to 256 GB of fast UFS 2.0 storage. The 5.15 inch display should be readable in direct sunlight due to its 650 nits specification and it might be pressure sensitive, even though it remains to be seen how useful this technology will be on an Android phone. The 144.5 x 69.2 x 7.25 mm metal case will contain a bigger battery than the original Mi 5, apparently Xiaomi was able to include a 3.490 mAh battery this time. The 16 megapixel camera was updated with an aperture of F/1.8 and PDAF, it still makes use of Xiaomi's 4-axis-optical image stabilization (OIS). NFC and GPS are onboard as well, as is the Quick Charge 3.0 compatible USB Type-C port and a fingerprint reader that will be compatible with Qualcomm's ultrasonic fingerprint technology. At the moment we do not know when Xiaomi will officially introduce the phone.